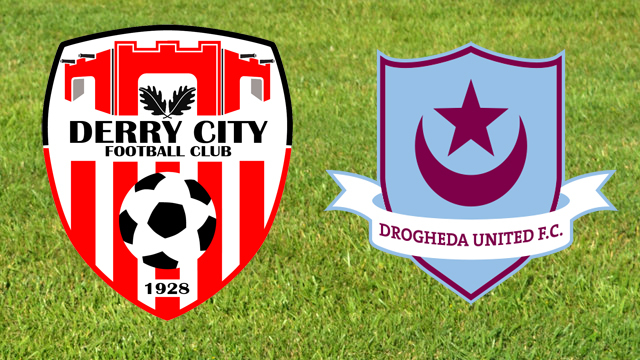 Derry City will be without duo Conor McCormack and Ciaran O’Connor for tonight’s FAI Cup tie against Drogheda United. The pair played in the last round for St Patrick’s Athletic and Dundalk respectively; Aaron McEneff and Stephen Dooley are also expected to miss out, while boss Peter Hutton is sweating on the fitness of Ryan McBride and Patrick McEleney. “It’s a great opportunity to get into a quarter-final of the cup and I think everyone is aware that there a few non league teams still in the cup. When you get to this stage it’s one of those, where it could be our year,” stated Hutton. “If you can get past Drogheda you certainly start thinking like that, thinking about getting back to the Aviva and trying to go one step better than last year, but it’s important that we get the job done against Drogheda. “They are all big games from now until the end of the season and it’s certainly a competition we want to do well in. Tonight’s cup tie will be live on both BBC Radio Foyle and Drive 105.3FM from 7.30pm. Derry City Ladies 1 Point Away From Title!